Home / Blog / Forever Young, Naturally! To appear forever young is the ultimate goal and the whole point to beauty for most people right?! To stay as youthful and healthy looking for as long as possible are what people are chasing. This is obvious with the rise of the health and wellness movement, we know that eating well and exercising will help keep our bodies in top shape and give our skin a natural glow. Next we turn our attention to our face and skin. Australia is now the largest consumers of cosmetic procedures per capita in the world (yes we’re beating the US) and it’s commonly accepted that most everyone has Botox and fillers at the very least. But is that what’s really needed for glowing skin? I hate to bust the Botox bubble but no, Botox and fillers do nothing for the condition of your skin to achieve that youthful glow. 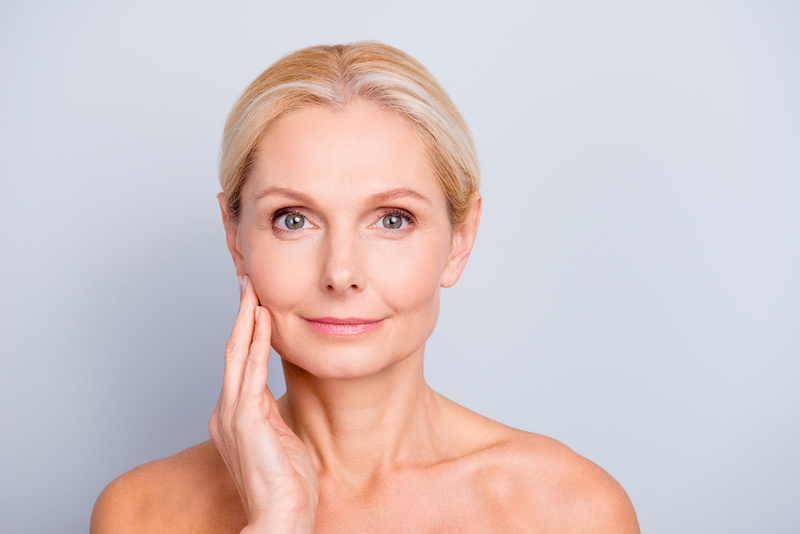 Think of them more as structural work to smooth out wrinkles and pump up lips and cheeks. But that’s what makeup is for right? Foundations and illuminisers help to achieve glowing skin, to a point. But if the texture of your skin is uneven, bumping under the surface, the makeup won’t sit properly and won’t look right. This brings us to skincare. If you truly want youthful glowing skin you have to be using the correct skincare that’s going to work for your skin. Professional skincare is widely accepted to get the best results and natural skincare is a new huge staple as we’re becoming more aware of our health and bodies. As a professional, in my experience with treating clients for over a decade as well as my own skin, professional natural skincare gets the best results for seriously youthful skin over time. Over time is the key phrase here, the way natural skincare works is not a quick fix, just like our diets. It is the consistent use for over a year and longer where your friends will start to really complement your skin and how well you’re looking. I want to breakdown the difference between traditional professional skincare (also known as cosmeceuticals) and natural professional skincare. 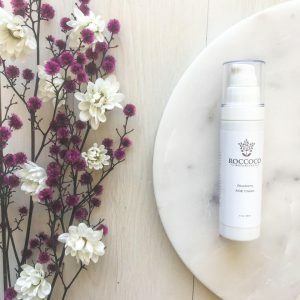 Cosmeceuticals commonly will tell you that everyone needs retinol as a holy grail ingredient and the skin can only take in a few select vitamins (A, C, E, B) These vitamins have been manufactured and freeze dried and placed in a cream with a delivery system. I find this extremely limiting and liken it to taking vitamins pills as opposed to eating a varied healthy diet of fresh fruits and vegetables. Natural and organic professional skincare on the other hand derives its active ingredients from plants and there are hundreds (possibly thousands) of different antioxidants that are nutrient dense to feed and hydrate the skin. 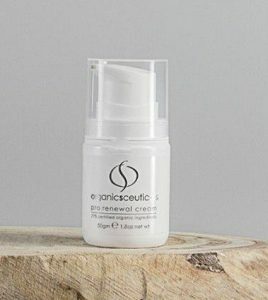 When they are formulated in a professional product they work in the skin naturally, nourishing our cells, combating free radical damage and keeping our cells younger and it better condition for longer. In my experience as a professional, this is the key to the ‘fountain of youth’, more so than any intense treatments designed for a quick fix or ‘bullying’ the skin to do something. Happy skin glows, simple as that. So I would love to take the fear, the self-loathing and knee jerk treatments out of beauty for everyone and love your skin with amazing professional natural skincare and see your natural glow come through. Who’s up for the challenge to join me in natural, healthy, glowing skin? 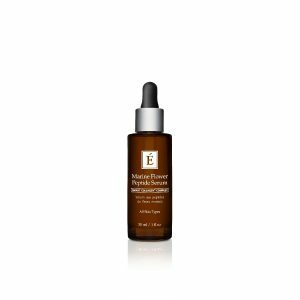 Eminence Marine Flower Peptide Serum is an easily absorbed, potent gel serum delivers concentrated plant peptides and botanicals to diminish the appearance of fine lines and wrinkles for visibly smoother, plumper and more youthful-looking skin. 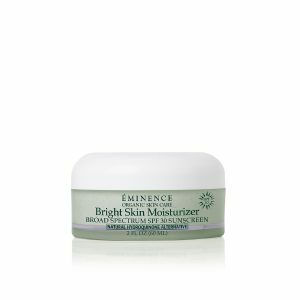 Eminence Bright Skin Moisturiser with Sunscreen protects your skin while brightening with stone crop, bearberry, GigaWhite™ and a Natural Hydroquinone Alternative. 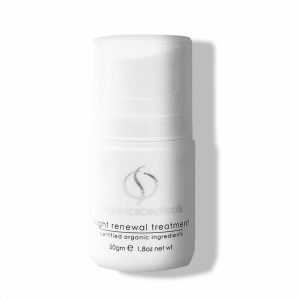 Organic Spa Night Renewal Treatment is a nourishing advanced night treatment is formulated to help stimulate cell renewal, improve skin texture and enhance the complexions clarity. 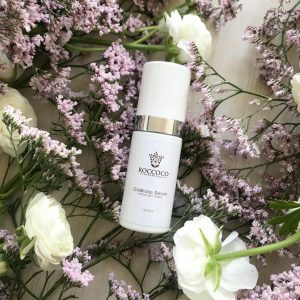 Roccoco Blueberry AGE Cream is designed for mature and dehydrated skins that are glycated and barrier impaired.